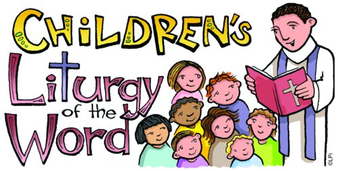 Please join us for Chidren's liturgy at St. Vital during the 11 AM Mass on Sunday. The program is directed for ages 4-6. This is a great opporunity for some catechesis which is age appropreate and based on the Sunday's readings. St. Vital is proud to be offering a program for youth called K for J. Click on the link for information and dates! If you are involved with working with youth in the parish, and have not already, you will need to fill out a volunteer application form (found here) and submit it to Jeanette at the parish office. Also, we encourage you, if you have not already, to complete a Called to Protect™ Workshop. Please see the diocesan website for the current schedule and to register for a session.